Men’s traditional brown leather shorts with belt. 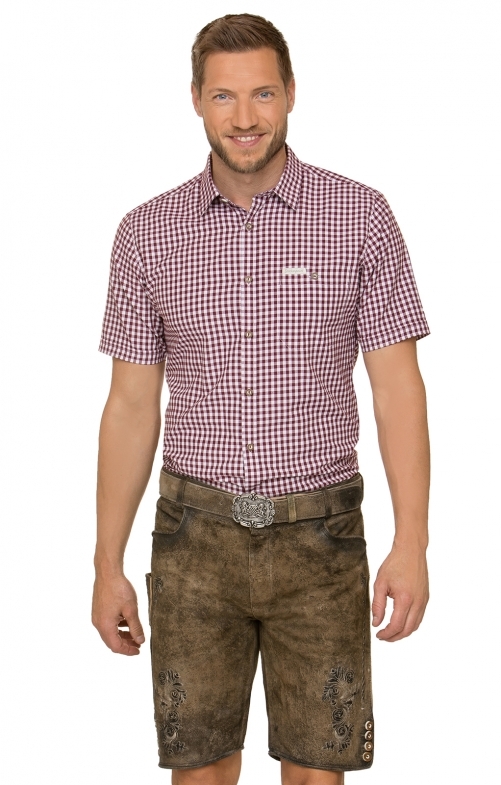 These knee-length leather shorts feature stag-bone-replica buttons on the cuffs and come complete with a matching leather belt and decorative belt buckle. The shorts boast a full front pocket on each hip as well as a right rear pocket, while the cuffs and sides are adorned with intricate dark-brown embroidery.